Medical treatment should be a healing experience. Unfortunately, that’s not the case for most. The anxiety of sitting in waiting rooms for hours, only to be met with cold doctors and expensive medical bills is the exact reason NURX was created. This March, Redefine Enough spoke with Allison Berry from NURX and had a candid conversation about why people should be looking to NURX for more of their needs. What is the story behind NURX? “So the story around NURX was this ‘radical’ idea that we should give women agency over their reproductive decision… giving people access and control over when they have children, how they have children, if they have children. 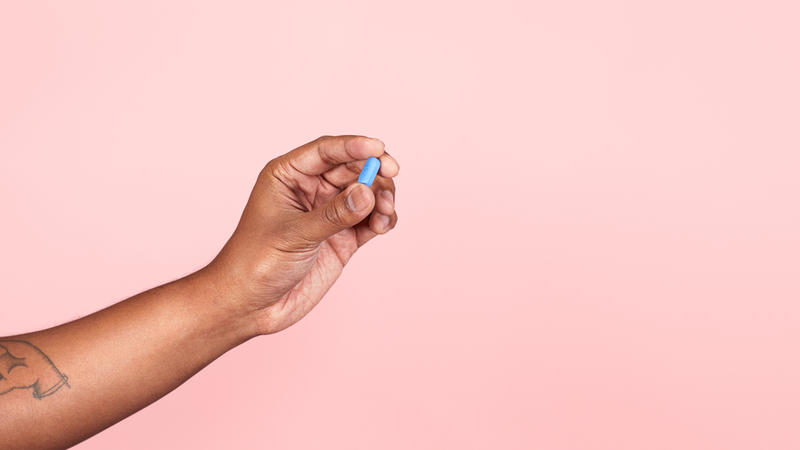 The idea was founded by two people from Norway who moved to the United States, and felt like the barriers that people have when it comes to accessing birth control is unbelievable. I can only imagine. A lot of the pieces that you bring up revolve around accessible healthcare. Outside of it just being accessible, what are the top three reasons people should consider NURX as a realistic option for them? “It’s about affirming and aligned healthcare, right. But more than that, it's about having a space where you feel heard and that you are seen for who you are, and that we're going to meet you where you are. We're going to take care of you regardless of anything. This isn't about imposing judgment about what you do or what you don't do, or who you are, or who you're not, but really about sort of like aligning with people around being on this health care journey together." So the hope is, is that people can come and they can say the things that maybe they haven't been able to say to anyone else about what they're looking for, as it relates to contraceptive access, or PrEP access, or new service lines as they come... And it's going to be met in a non-judgmental way. So that would be the first thing. Cost is going to be another thing. Access is also about affordability and making sure that we don't create access only for people of means and privilege. So understanding that NURX is an option that's affordable, and price transparent. As you mentioned, people come with a lot. Personally, I am so used to being in the doctor's office and it feeling like an assembly line. Considering that we all have different factors that affect our well being, what's the process of getting individualized support? “Yeah. Um, so I think that we all have that experience, right? Part of the reason [NURX clinicians] work for NURX … is because you get more connection to patients via an app than you would in a clinic. The model is set up so that people who have nothing to say, they’re just like, ‘I just want my birth control without hoops to jump through.’ By all means, we have a streamlined system and we can just get you this birth control without questions asked. But for the people that have maybe tried 10 different things and they feel like no one's ever listened to them before… There's a lot of space for people to go through the survey and then they have an opportunity to chat back and forth with a variety of people in the medical teams that are with their providers. With the app, there are over 20 nurses where all they do for us is provide counseling. So it's this way in which we're not just going to send you out the door with a prescription and never hear from you again. That's awesome. Since Redefine Enough and the AFFIRM audience are very diverse women of color from all different backgrounds, what is the process for someone really wanting to connect with a doctor who shares a similar ethnic background? “So we try really, really hard to have a diverse representation amongst our provider group. And some of it happens naturally, because people are drawn to this type of work for the same reasons why patients are often drawn to this type of service, right.? So we naturally have a really diverse provider group. How does someone actually go through the process of using NURX? “Oh, they can either download the app if they have an iPhone and the Android app is coming soon. I promise! They can access the website: www.nurx.com. It's a very... what I would say is a very simple sort of survey process. So you're going to sign up, either create an account or people can even do a guest account, upload an ID, answer some medical history questions. Ideally, about 24 hours later, not less, someone on our medical team takes it from there and engages in care with them, and prescribes for them. That sounds really easy. I do have one more question. In doing my own research of PrEP, I’ve learned it’s a very expensive medication. How do you set up different payment plans and financial options? “Truvada is an expensive medication, but it does not cost people a lot of money. It’s a weird sort of distinction, but it's a really important one. So it is an expensive medication, but no one should be paying...no one, regardless if they use NURX or not, should be paying for Truvada out of pocket. There are tons of programs and we navigate people through all of those. So there is something called a Patient Assistance Program, which is for people that don't have any type of health insurance or health insurance that do not does not cover PrEP. It's actually a program we enroll people to get the drug completely free for them from the drug company. If people have insurance, but they have a high co-pay, we will sign people up for a copay assistance that actually covers up to $7200/ year of the their out of pocket costs for the drug. That is amazing! I was completely unaware of that. I’m glad to know that resource is available because people do become fearful about medical expenses. It’s great to know that money doesn’t have to a major barrier for PrEP. This is a sponsored post with nurx. Use code AFFIRM to get $5 credit on your first order.